12.7% alc., 300 cases, $30. · Pale light straw color and clear in the glass. Aromas of apple, pineapple, crushed wet stones and sap. Flavors of green apple and hi-pitched lemon with piercing acidity. An austere, acid-driven wine with a hint of salinity on the high voltage finish. Decent. 14.5% alc., $43. · Light straw color and clear in the glass. Moderately rich and very Russian River Valley in character, yet has enough restraint to appeal. Aromas and flavors of fresh apple, citrus, honey and brioche. Like biting into a juicy, ripe caramel apple on a stick. Beautifully balanced with just the right amount of oak. 14.5% alc., pH 3.55, TA 0.64, $35. From the Kelly Ranch, a cool site in the rolling hills above San Pablo Bay and the Poe and Red Hen vineyards, farmed by the Laird family. Dijon clones 95 and 96 and Robert young clone. Winemaker Phillip Corallo-Titus, the winemaker at Chappellet for over twenty years. · Pale straw color and clear in the glass. Oak-infused aromas of yellow peach, lemon, pastry cream and blond caramel. Tasty core of lemon cream, baked pear and toffee. Slightly creamy with complimentary oak in the background. Good. 14.5% alc.,pH 3.36, TA 0.62, 272 cases, $40. 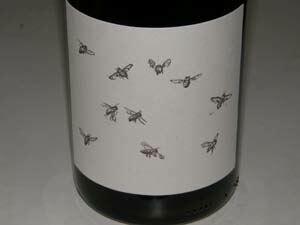 86% Stiling Vineyard with small amounts of Wildcat Mountain and Green Acres Hill vineyards. Primarily Rued selection. · Light straw color and clear in the glass. Nuanced nose offering aromas of lychee, chestnut, banana, graphite and bark. Soft in the mouth and rather ordinary with flavors of pear, lemon, honey and roasted nuts. Decent. 14.2% alc.,pH 3.22, TA 0.73, 2,752 cases, $35. Released August 1, 2012. Sourced from four Russian River Valley Vineyards. Aged 7 months in 40% new French oak barrels. · Light straw color and clear in the glass. Aromas of lemon curd, candle wax, bark and oak. A richer style with flavors of baked apple crisp, grilled citrus and toasty oak. 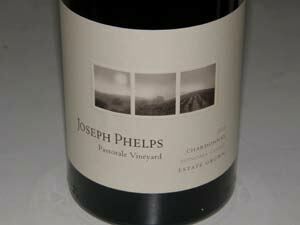 The fruit has a very ripe, cooked quality typical of many Russian River Valley Chardonnays. A good backing of acidity saves the wine. Decent. 14.5% alc., $75. · Very light straw color and clear in the glass. Initially reduction aromas of struck match, resolving over time to reveal scents of straw bale, alfalfa, autumn leaves and roasted nuts. A seamless wine that enters with tasty flavors of lemon, pear and peanuts and exits with a lemony riff. Slightly crusty and salty. Very good acid backbone leads the drinker to another sip. Finishes impressively with great vigor and focus. Should age extremely well. 13.2% alc., $37. 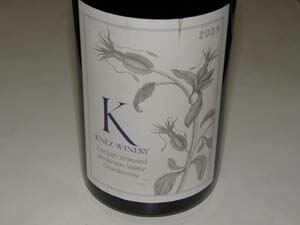 · A very appealing wine that is not gussied up with oak and is highly flavorful. Lemon and green apple aromas and flavors are featured with a faint note of fresh brioche. Crisp, bright and refreshing, like biting into a ripe green apple. Very charming. This is a Grand Cru level old vine Chardonnay vineyard. 13.5% alc., pH 3.38, TA 0.67, 2,910 cases, $55. Clones 76 and Wente. 100% malolactic fermentation. Aged 14 months in 50% new and 50% two to three-year-old French oak barrels. · Light straw color and clear in the glass. Understated, picking up interest over time in the glass. Aromas of tart lemon, straw, and buttered brioche. Reminds me of the smell of a bakery. Very tasty flavors of lemon and baked pear with complimentary buttery oak. Soft in the mouth, with a zesty finish leaving a long trail of steely lemon behind. Very good. 13.5% alc., pH 3.39, TA 0.62, 210 cases, $75. From the best block of Chardonnay planted at the Pastorale Vineyard in Freestone. 100% malolactic fermentation. Aged 14 months in 67% new French oak barrels (50% in 500 Liter puncheons). · Light straw color and clear in the glass. Delicate aromas of lemon peel, lime, oak and chalk dust. Restrained, but alluring with very nice balance. Offers an appealing fusion of apple and citrus flavors with the slightest nutty oak in the background. This wine has an understated appeal that keeps the drinker exploring for nuance. Very good. 13.8% alc.,150 cases, $38. Partially de-stemmed and crushed to tank, barrel fermented, 8 months sur lee aging, 10 months in 40% new French oak barrels. Clone 4 and Hyde-Wente. Winemaker Greg Bjornstad. · Light straw color and clear in the glass. Nicely perfumed with aromas of apple crisp, lemon, brioche, pastry cream and chalk dust. Soft and pleasing on the palate with flavors of grilled peach, baked apple, toasted nuts and caramel with a slight riff of citrus. Nicely balanced with good integration of acidity and a clean finish. Good.